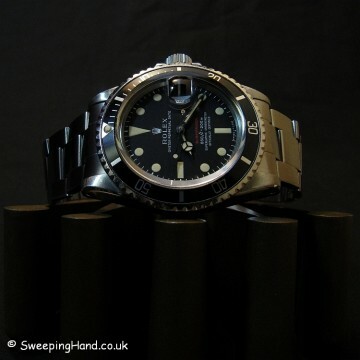 Here we have a Rolex Red Submariner 1680 Mark 4 For Sale from 1970. An open ‘6’s feet first red sub dial with the red print over the white can only mean we have a mark 4 Rolex red submariner. This was the first red submariner dial to change to feet first dials around the 2.45m serial numbers. This one is in exceptional condition having just received a full movement service and very light case polish from Rolex UK. A lovely matte dial with yellow markers and original matching hands. Beautiful grey fat font insert and yellow pearl. 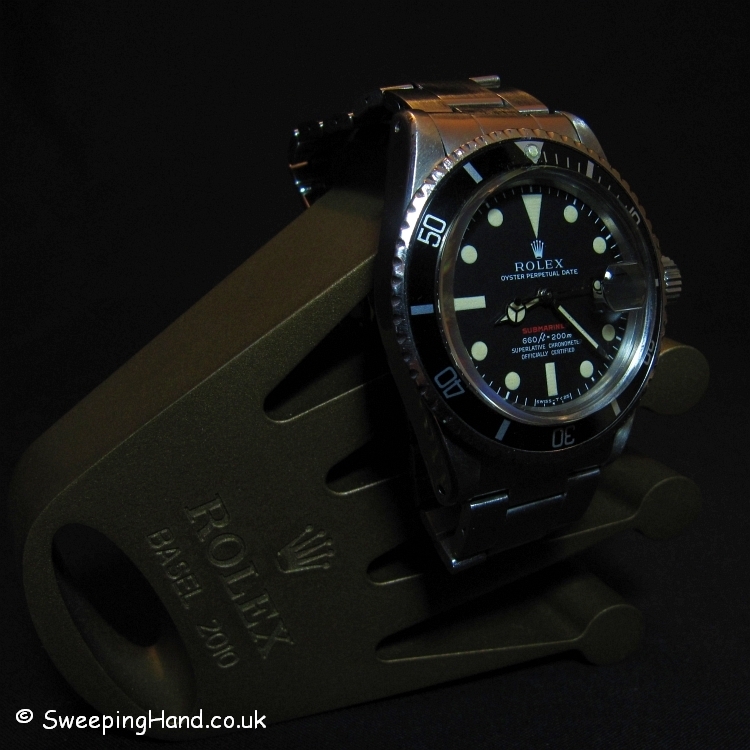 This vintage red submariner 1680 comes with original boxes and double punched guarantee papers and 1 year warranty from Rolex UK following its service. Dial & Hands: This piece has the most stunning unmarked Rolex 1680 red feet first dial with beautiful yellow plots and matching original tritium Rolex hands. Case & Caseback: Beautiful Rolex UK lightly polished case with beveled edges that only Rolex UK do so well. 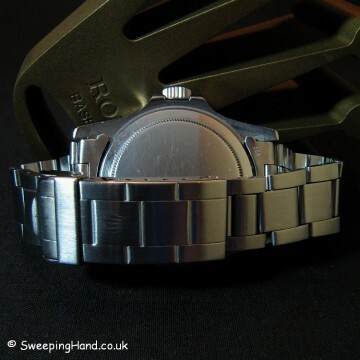 Rolex caseback correctly stamped with year, quarter and model numbers. Serial numbers clearly visible between the lugs. 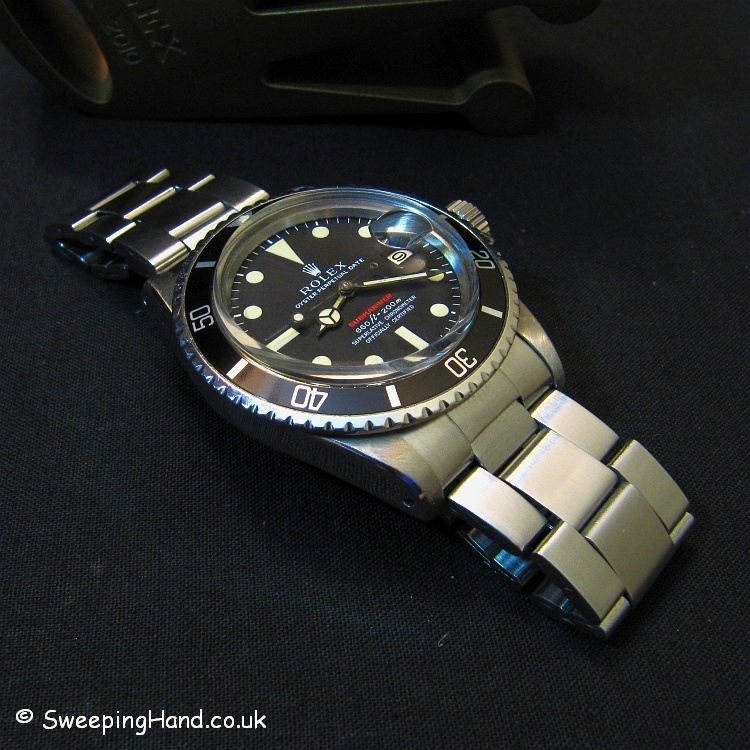 Bracelet: Comes on a very nice Rolex 93150 bracelet with correct Rolex 580 end pieces. Movement: Original non-hacking Rolex 1570 movement keeping perfect time having been recently serviced.